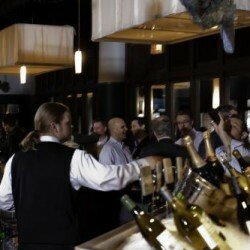 River Roast Private Events, located on the Chicago River, offers an impressive setting for your next party or meeting. Helmed by James Beard award-winning Chef Tony Mantuano and Executive Chef Cedric Harden, River Roast is a lively social house and gathering place. Experienced event planning and service teams aim to accommodate and anticipate your needs for a flawless event. Whether you are planning a grand gala for 300 people, or an exclusive affair for eight, the delectable customized menus and exceptional views with impress. River Roast has six spaces to choose from, each featuring sophisticated decor that pays tribute to the historical landmark building the restaurant is housed in- the options for corporate and social events are endless. At river level, the Murdoch Room accommodates large parties and provides access to the outdoor Veranda. The Monarch Room also offers pristine views of the river. If your dream is an outdoor affair, plan your party on the Veranda and enjoy the open air. Corporate and wedding groups between 8 to 1500 people who are looking for a wonderful meal, excellent service and amazing river views. 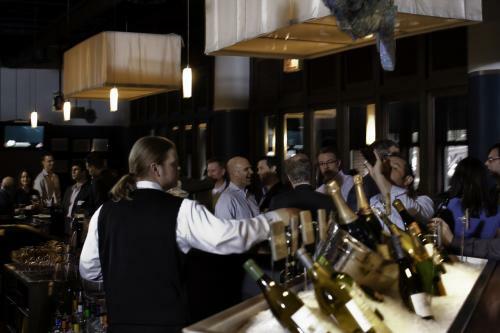 We are most proud of providing a restaurant experience in a private setting with access to the Chicago River. Customize their dining needs to make each event a success. We have one of the largest private dining rooms in the city with access to a private dock and outdoor veranda. Giving guests a birds eye view of the river while offering the best of both worlds in seafood and steak. Outdoor dining space on the Chicago River with amazing food and service. The best of both worlds; a classic seafood and steak house, with an unparalleled devotion to procuring nothing but the highest quality ingredients.